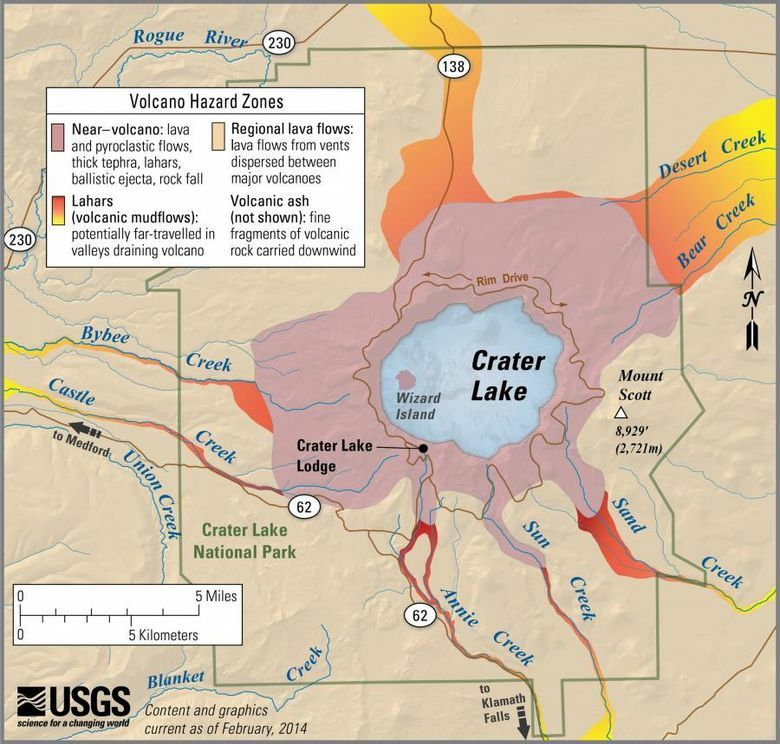 Changes to how the U.S. Geological Survey assesses the threats from volcanoes didn't knock any of Washington's volcanoes off the most-dangerous list. 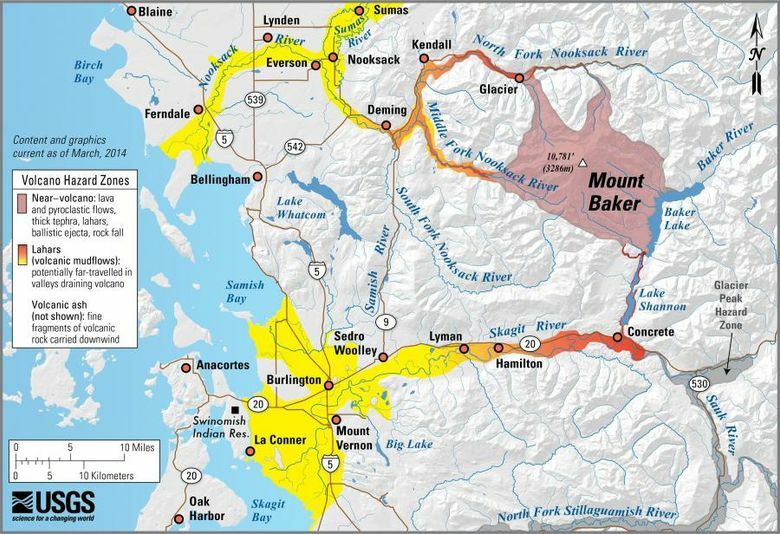 Four Washington volcanoes remain among some of the most dangerous in the country, according to an updated threat analysis by the U.S. Geological Survey. 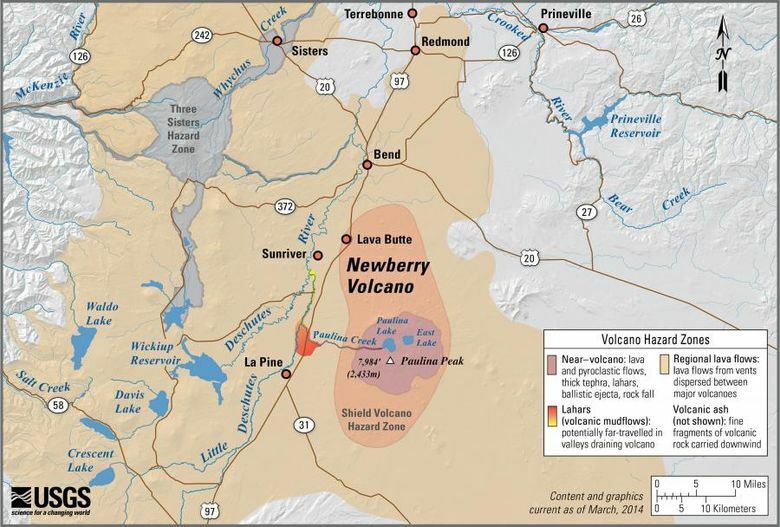 USGS’s National Volcanic Threat Assessment was updated for the first time since 2005 after it reassessed how volcanoes are scored and ranked. 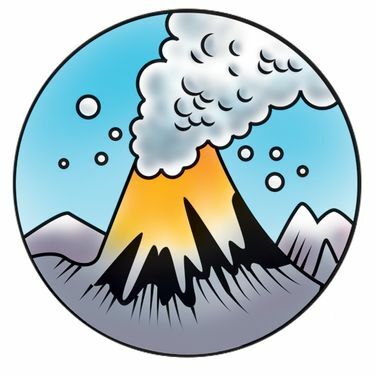 In all, 166 volcanoes were ranked with a threat level of very low, low, moderate, high or very high. 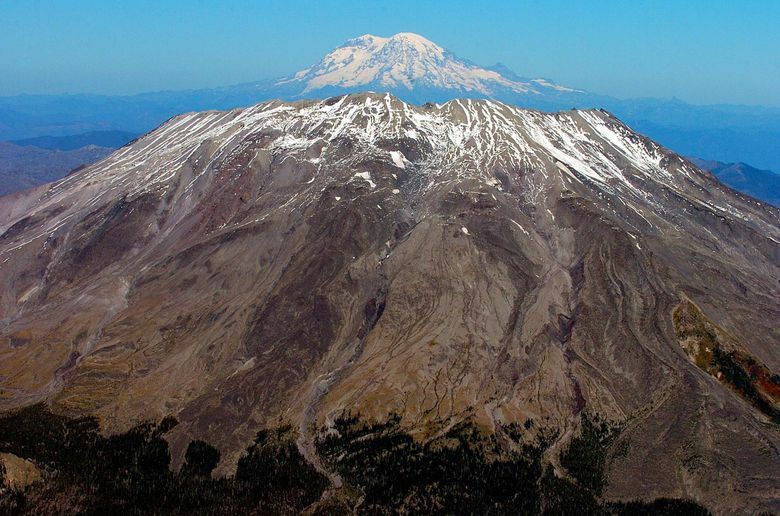 While the change to ranking criteria resulted in a number of volcanoes being dropped, added or moved around the list, none of those changes affected the “very high” ranking of the state’s major volcanoes, including Mount St. Helens, which comes at No. 2, just behind Kilauea, which spewed lava on Hawaii’s Big Island for weeks earlier this year. 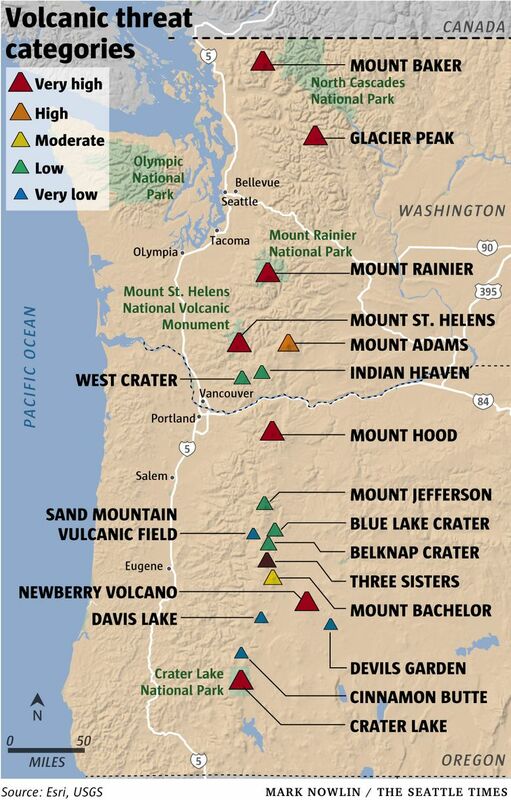 Three other Washington volcanoes are ranked “very high”: Mount Rainier, ranked 3rd, Mount Baker, ranked 14th, followed by Glacier Peak at 15. 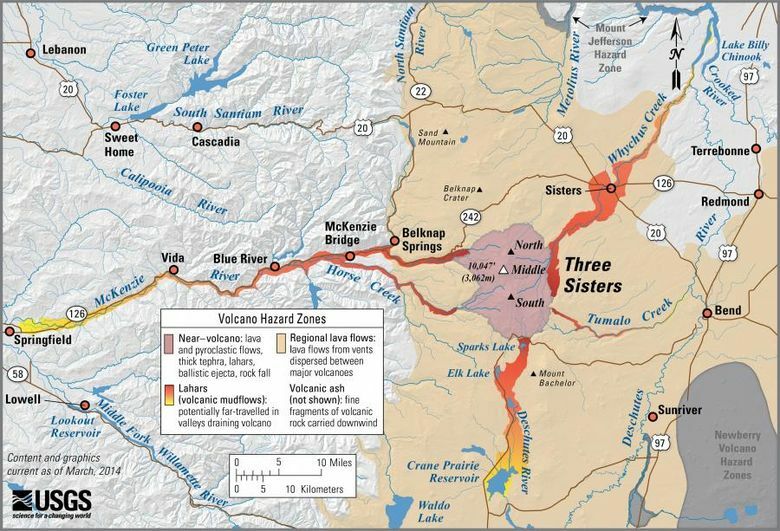 To produce the rankings, the USGS uses a 24-factor hazard and exposure matrix, assessing explosive activity in the past 500 and 5,000 years, frequency of eruptions, and the level of impact an eruption could have on local populations, airplanes, transportation and power infrastructure. 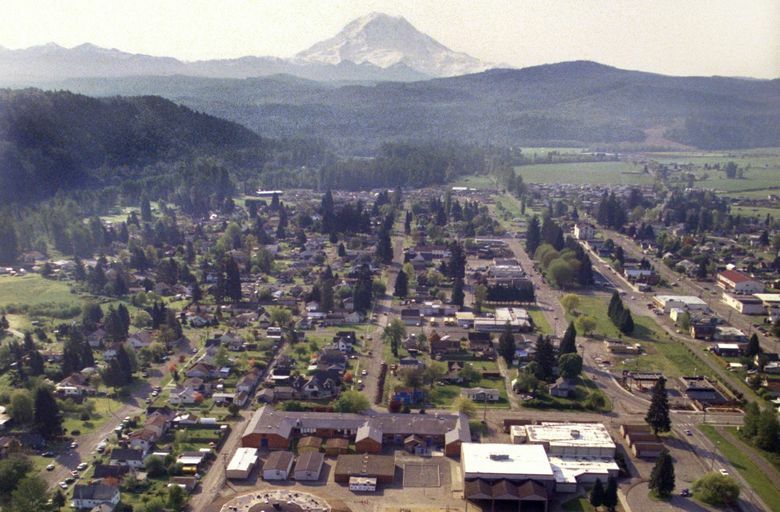 Seth Moran, director of the USGS Cascade Volcano Observatory, said he’s used the rankings to strategically prioritize where to place additional seismometers — instruments that measure volcanic activity — over the past four years. 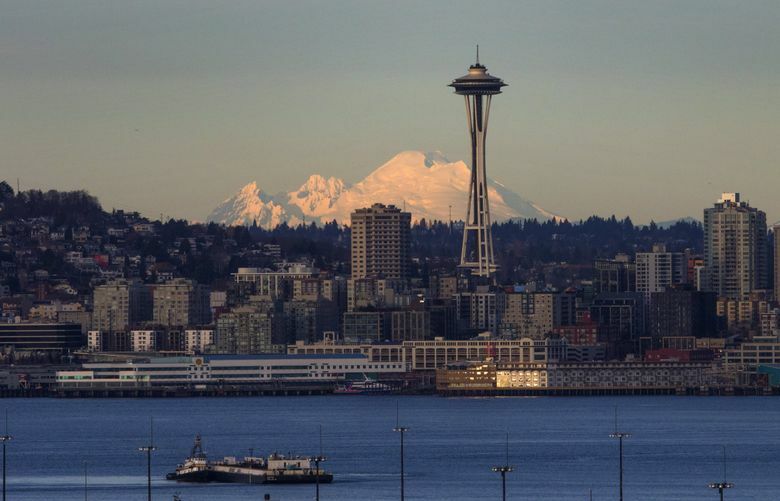 One of those mountains was Rainier. 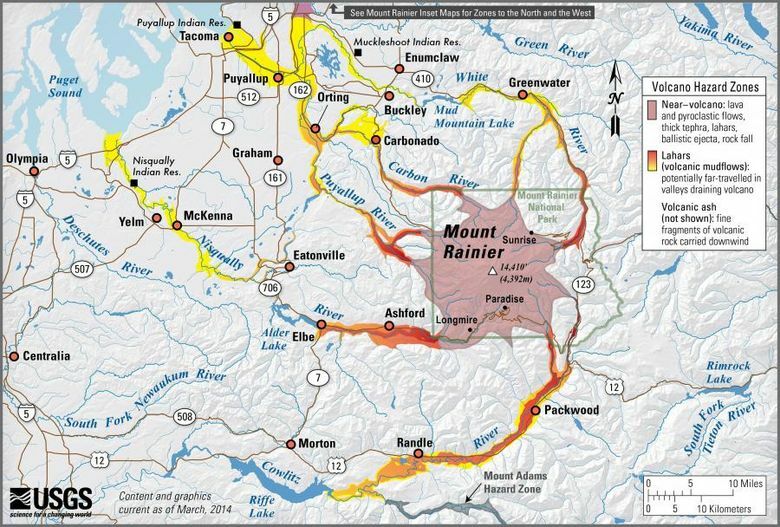 Ten years ago, several stations were added to Mount Rainier in conjunction with the University of Washington, making it one of the better detection networks in the Cascades, Moran said. 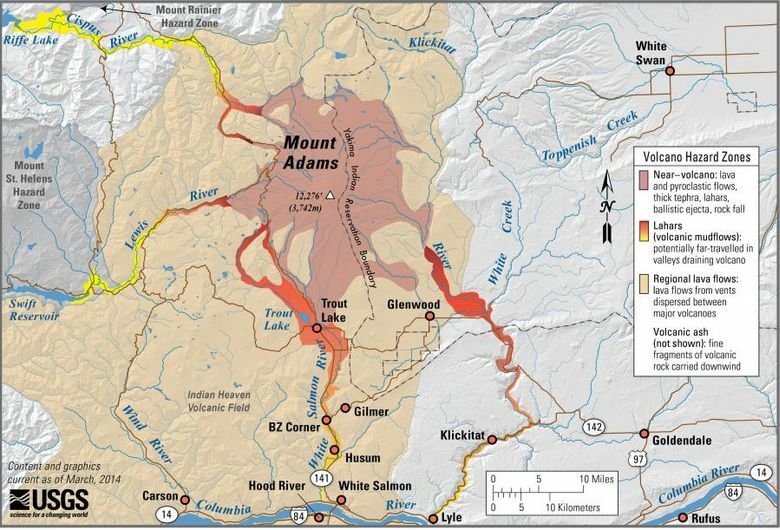 More recently, technology to detect lahar movements has been put in place. 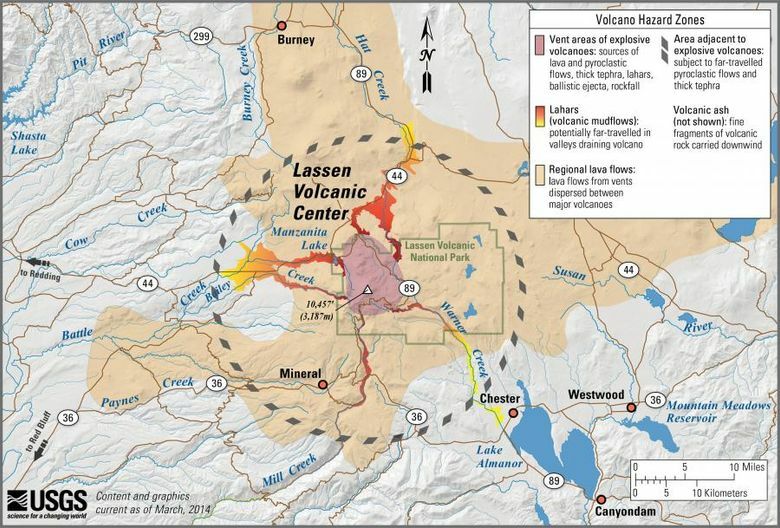 Lahars are large volcanic mudflows generated by the collapse or eruption of a volcano. 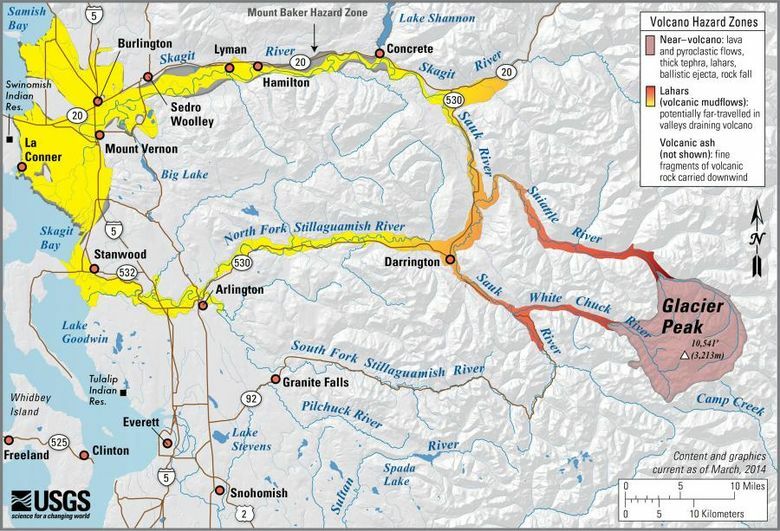 Moran said even though nothing has changed since the last report, people in Washington should remain alert. 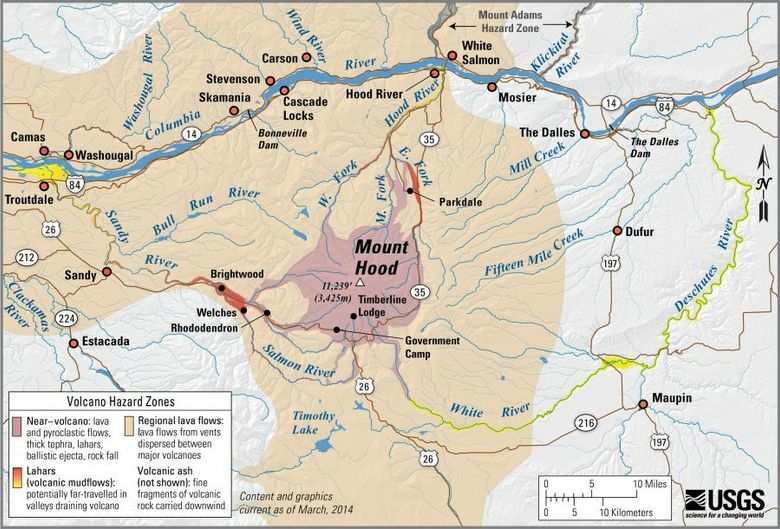 “Like any other hazard, after a while you get used to it, but it’s important to not get used to it,” he said. 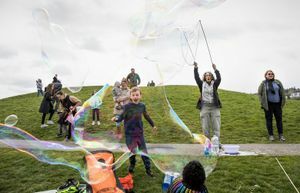 Meanwhile, population booms around the state didn’t make the volcanoes around Washington any more dangerous than they already are, Moran said. 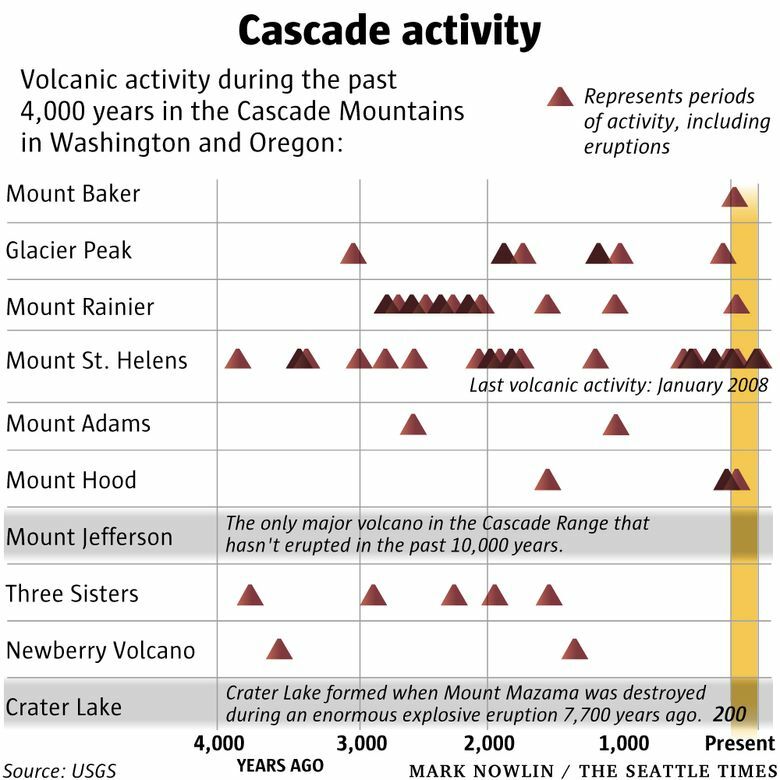 On the bright side, because most are fairly cold due to their last eruption occurring many thousands of years ago, it would take them some time to warm up and erupt, giving everyone a chance to get to safety. 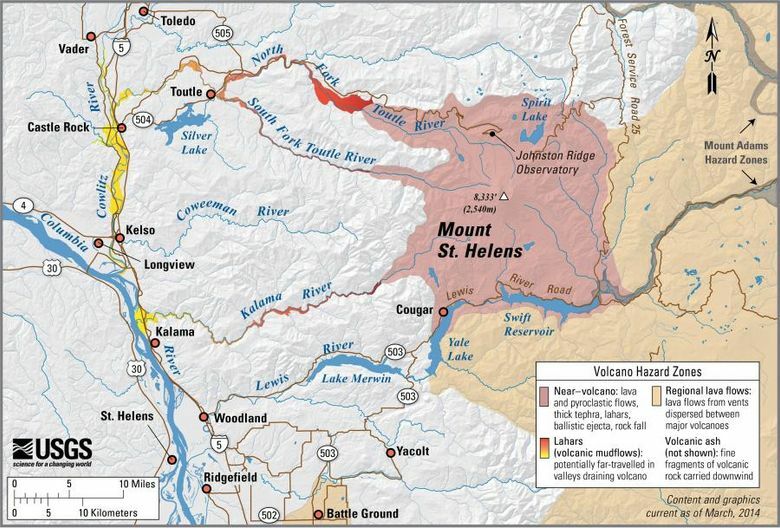 The report describes just how catastrophic it was when Mount St. Helens erupted in 1980, the most recent in the state’s history. 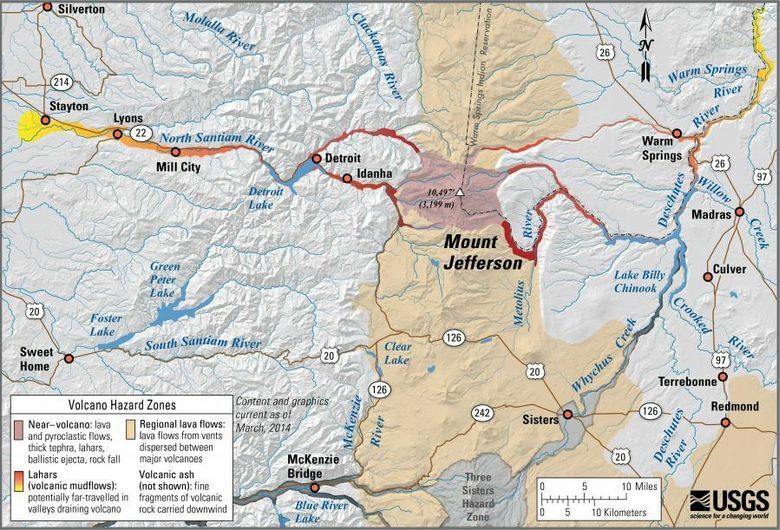 The death toll from the Mount St. Helen is estimated at 57 people.